A metaphor is a word or phrase used to describe something as if it was something else. A metaphor isn’t a comparison – that’s a simile, where you say one thing is ‘like’ another (“Her eyes were like diamonds”). Instead, a metaphor is simply a statement where you are saying that one thing is another. Take a look at the example of a metaphor in the speech bubble above. The man is saying “Life is a roller-coaster”. Think about what he means by this sentence – does he mean that his life is actually a real-life roller-coaster? Or is he describing it that way because he means his life has ups and down, similar to a roller-coaster? Franklin has a heart of gold! Franklin has a heart of gold! 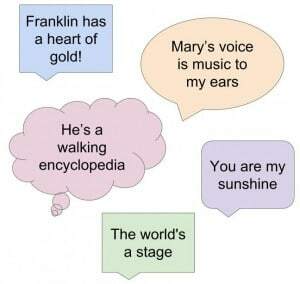 : Franklin doesn’t actually have a heart made of gold! This metaphor is used to emphasise how kind and loving Franklin is – as if he was full of lovely things, like gold. Mary’s voice is music to my ears: Music doesn’t really come out of Mary’s mouth when she talks! This metaphor emphasises the pleasant sound of Mary’s voice – how listening to it is as nice as listening to music. He’s a walking Encyclopedia: Is there literally a book walking around the room? Probably not! This metaphor is saying that the boy has so much knowledge – it’s as if he’s an encyclopedia. You are my sunshine: Do you actually mean that this person is a real-life sunshine? This metaphor describes how the person is happy and bright – just like the sun! The world’s a stage: This metaphor is used to say that people’s lives are full of drama because so many things happen, so it’s comparing the world to a theatre stage. 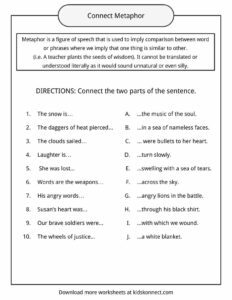 Metaphor is a figure of speech that is used to imply comparison between word or phrases where we imply that one thing is similar to other. (i.e. A teacher plants the seeds of wisdom). It cannot be translated or understood literally as it would sound unnatural or even silly. Metaphors are often confused with simile. The comparison itself can’t use words such as ‘’like’’ or ‘’as’’ as it would rather refer to simile then. She is like a wolf when she wants to protect her children. John was as cool as ice while he was getting on the stage. Bob is a hungry wolf, he can eat a lot. Her heart is ice, she can’t fell in love with anyone. (common phrase meaning it’s raining heavily). 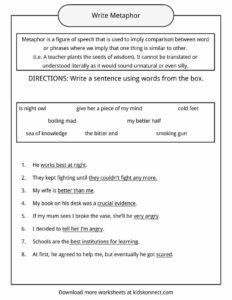 The purpose of using metaphors is to make common and boring language somewhat more appealing to the reader or listener. 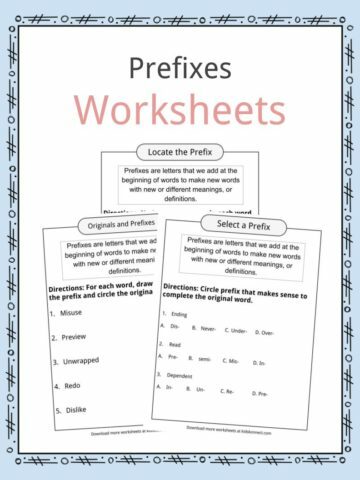 They tend to describe words or expressions a bit more vivid, so that reader or listeners gets a better looking picture of the intensity of those words or expressions. If we want to make better looking, metaphoric comparison of using language with and without metaphors, we could say that it resembles the difference between a black and white and full coloured picture. 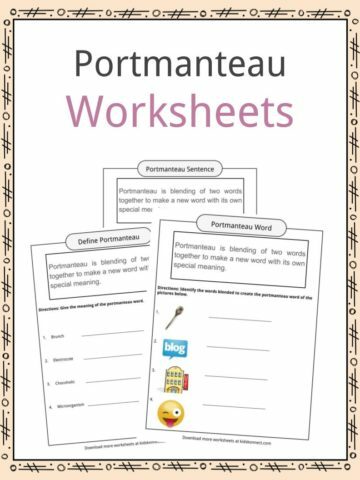 They both can send the message that is pretty clear to the reader or listener, but the fully coloured one will provide more details, more information about the intensity of colours and their sharpness. Her eyes are two emeralds. We can say the colour of her eyes, describe their glow and shape, but we would not get the same effect on the reader or listener like using this metaphor two emeralds, which in fact says everything we need to know and we can imagine the picture of her eyes very well. 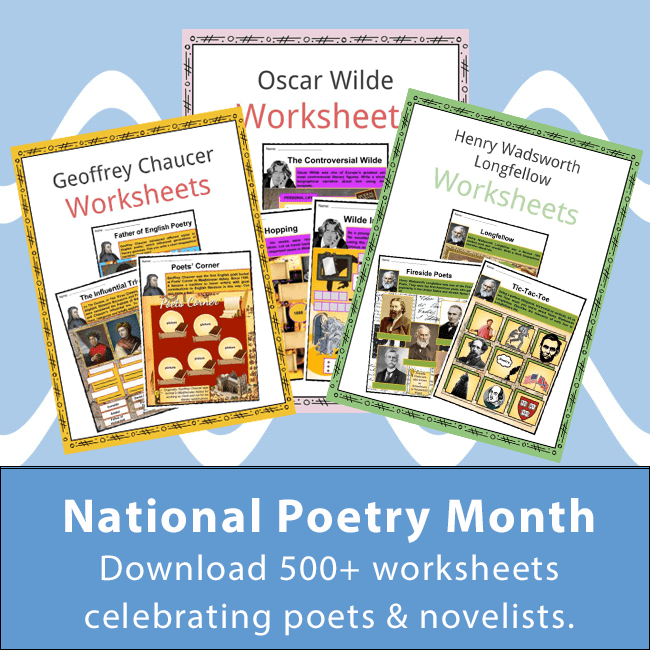 Metaphors can be freely used to use any kind of symbolism. There are also several types that are common , like in literature, where we can distinguish between implied, sustained, dead metaphors etc. John is a fish when he is in the water. He swims very fast. Dead metaphors refer to those that are so common in use that we take them without imaging the picture of what do they literally mean. We are so used to them that we only take what do the represent. 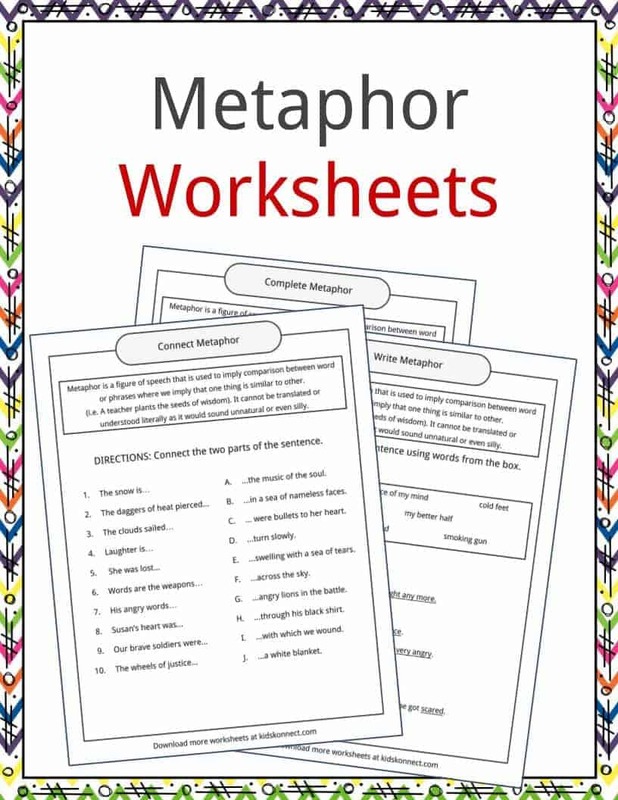 Now that you know what a metaphor is, you can try to create examples of metaphors by yourself to practice your knowledge and understanding. 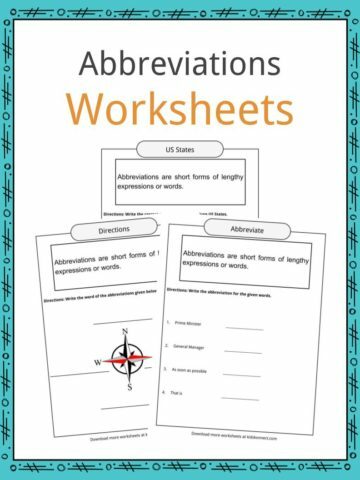 This bundle contains 5 ready-to-use metaphor worksheets that are perfect to test student knowledge and understanding of what a metaphor is and how it can be used. 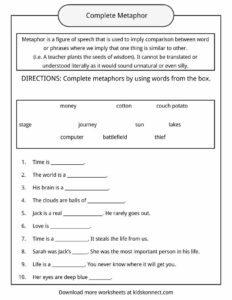 You can use these metaphor worksheets in the classroom with students, or with home schooled children as well.